The Kids & Company half-day curriculum includes basic math concepts, science, food science and nutrition (which complement our healthy, tasty snacks from the Kidco Kitchen), indoor and outdoor open ended play, French, music, printing, pre-literacy and reading, and language arts. Children have the opportunity to participate in an exciting learning environment where their cognitive and social skills will be enhanced. 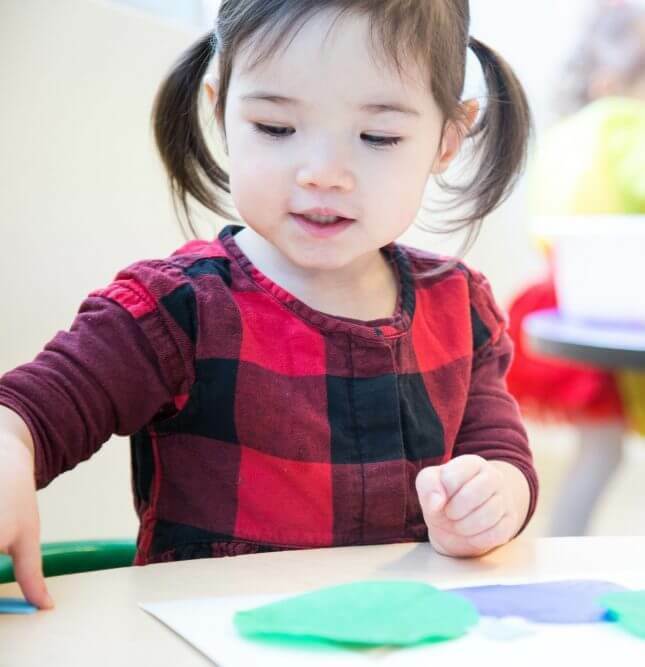 Toddlers will learn in small groups, building socialization skills and how to participate in group activities. Preschoolers will build on these skills with cognitive games and activities that stimulate a preschooler’s natural love of learning.